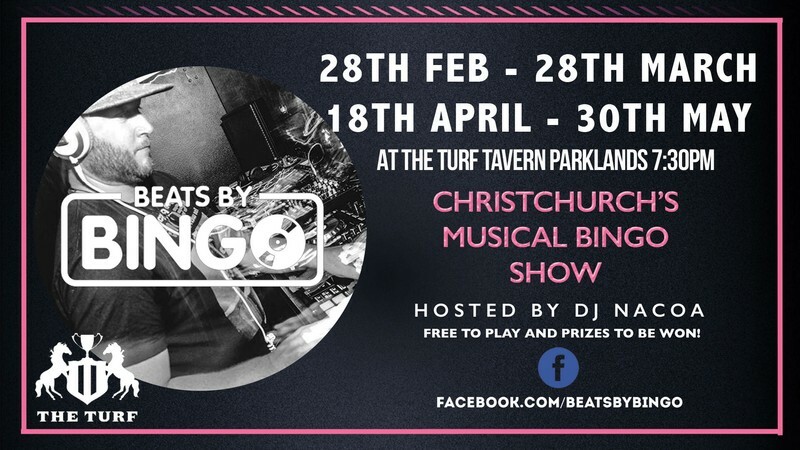 DJ Nacoa and Beats By Bingo are back at the Turf for 2019! Roughly on the Last Thursday of the month you can enjoy cheesy tunes, Nacoa banter, seat dancing, a few giggles and maybe win some stuff! All free to play! Contact the turf today to book a seat.